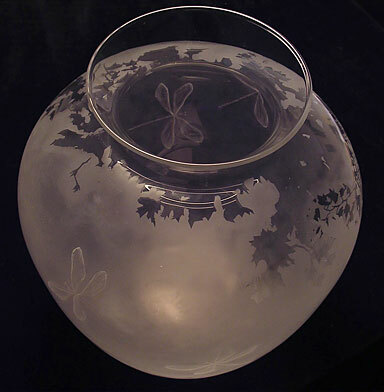 Sand blasted and polished to create texture on surface, with dragonflies engraved by drill. I added the Chinese letters for dragonfly. Made in 2004 and sold at an exhibition at Hill House, Helensburgh in 2005.